Partially accessible to wheelchair users (with guides). Children under the age of 8 years are not permitted. Reservations are mandatory and free of charge. 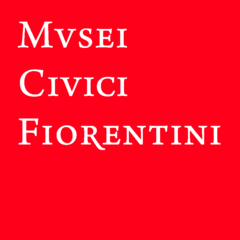 The creation of a museum incorporating the excavation site in Palazzo Vecchio by the Florentine Civic Museums, is governed by an agreement between the Superintendence for Archaeological Heritage of Tuscany and the Florentine Civic Museums. This audio guide has been produced by Florentine Civic Museums, directed by Laura Longo, with texts by Gianluigi Sanzi, Lucas Viar Basterra and Pablo López Marcos, using data from the works of Jacopo Bruttini and Federico Cantini. of the National Archaeological Museum of Florence, for her scientific contributions, as well as the Superintendence for Archaeological Heritage of Tuscany for granting use of the imagery. The reconstructions and some images were provided by Gianluigi Sanzi from "Preesistenze e ampliamenti degli ambienti intorno al Cortile Orientale del Palazzo della Signoria. Analisi storico-informatica e restituzioni tridimensionali dall’età romana al Cinquecento", a PhD Thesis, XXIV cycle, University of Florence.